Use the form below to contact the board of directors. Please allow two business days for a response. Residents may also use the form to register for the neighborhood directory and for email notifications. If you prefer not be listed in the directory but want to receive news and information just say so in the comments section. Be sure to include your street address in the comments section as well. 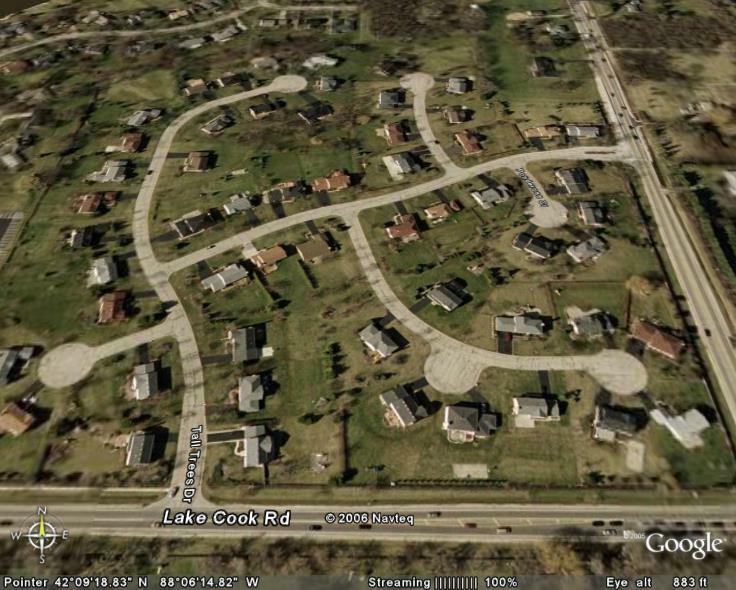 Tall Trees is located near the intersections of Lake-Cook (Main Street) and Ela Roads on the east side of the Village. Click on the map above for an Arial view. From the City or O'Hare Airport take I 90 West to RT. 53 North and Exit at Lake Cook Road and proceed west. Turn right onto Tall Trees Drive and you will have arrived.